Technology-wise, as Om notes, Android is “not just an operating system, but comes with middleware and key applications”, not least a robust mobile web browser – and a key factor in Google’s commitment to Android – along with the ability to handle 2D and 3D graphics, and various audio, video and image files. I’d also add into the mix location-based APIs and Google Maps, and an already growing library of third-party software and extensions, much of which will be open source in themselves. 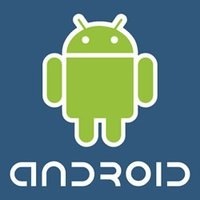 While on the business side, the decision to make Android’s source code freely available to hardware makers at no cost isn’t enough in itself, Google’s choice of open source license makes it particularly attractive to consumer electronics companies who want to use Android to power new devices but in a way that will allow them to maintain control and differentiate their wares from competitors. Under the free-wheelin’ Apache license, device makers are free to make their own changes to the OS, such as altering the User Interface or adding new functionality, without submitting those changes back to the open source community, which would also include their competitors. All of which, as Om says, makes it hard not to get excited about the potential of Android, despite being available today on only one handset and through one carrier. For every consumer electronics market, however small, that you’d like Apple to enter but which they likely won’t, we can probably expect multiple Android-powered offerings to try to fill the void. On that note, however, a word of warning. Apple’s strength has always been its ability to control the whole user experience through the marriage of software and hardware. Or as User Interface pioneer Alan Kay once said, and Jobs likes to quote, “people who are really serious about software should make their own hardware.” Google’s making a different bet that, with their help at least, people who are serious about hardware no longer need to make their own software.